Sarah Crichton Books, 9780374200954, 384pp. Fast-forward four years. David Neff, the bestselling author of a true-crime book about an Ohio serial killer, is a broken man after his wife's inexplicable suicide. When an unexpected visit from an old friend introduces him to the strange mystery of "the man with a thousand mittens," David decides to investigate. What he finds draws him back into a world he thought he had left behind forever. And the closer David gets to uncovering the true identity of the Man from Primrose Lane, the more he begins to understand the dangerous power of his own obsessions and how they may be connected to the deaths of both the old hermit and his beloved wife. 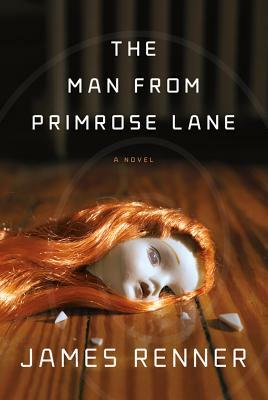 Deviously plotted and full of dark wit, James Renner's "The Man from Primrose Lane "is an audacious debut that boasts as many twists as a roller coaster. But beneath its turns, it's a spellbinding story about our obsessions: the dangerous sway they have over us and the fates of those we love. James Renner is the author of two books of nonfiction that detail his adventures in investigative journalism: "Amy: My Search for Her Killer "and "The Serial Killer's Apprentice." His work has been featured in "Best American Crime Reporting "and "Best Creative Nonfiction." He lives in Ohio.